Easy to read, filled with personal stories, stacked with key scientific survey results, and laced with sometimes biting and often self-depreciating humour, Lean In is useful if rather shallow. Sheryl Sandberg, Facebook's Chief Operating Officer and formerly with Google, McKinsey and the US Treasury Department, advises women to take more responsibility for their careers, to be bolder in stepping forward, and not allow internal insecurities about future parental roles hold them back. She also encourages men to take a larger role in managing the household, and demands that both men and women in positions of influence extend a helping hand to support and mentor women starting out in the work force. Plenty of Sandberg's advice is adequate, and she goes out of her way to value all women, including those who choose to manage their households and forgo careers. But most of the book represents behavioural and personality tweaks, rather than essential change. A woman may lean in and take her place at the table; if she then does not have the skills to meaningfully contribute to the conversation, then it's a wasted seat (and the same would go for a man at the same table). Similarly, a woman can be encouraged to raise her hand and speak up; but it's more important that she has something important to say when called upon to speak. Fundamentally, people who believe that they have a contribution to make are more likely to make it. Building that genuine belief on sound foundations is required for true leadership; the rest is behavioural, superficial and aesthetics. For women and men, the will to lead is only successful if it follows the indispensable ability to lead effectively, and this requires internal mental and emotional habits that do not come easily for most people (men and women). As is common with highly intelligent achievers possessing innate leadership skills, Sandberg's biggest blindspot lies in assuming that leadership skills are a foregone conclusion, and she is disappointingly silent on the inside-out imperative for personal growth. 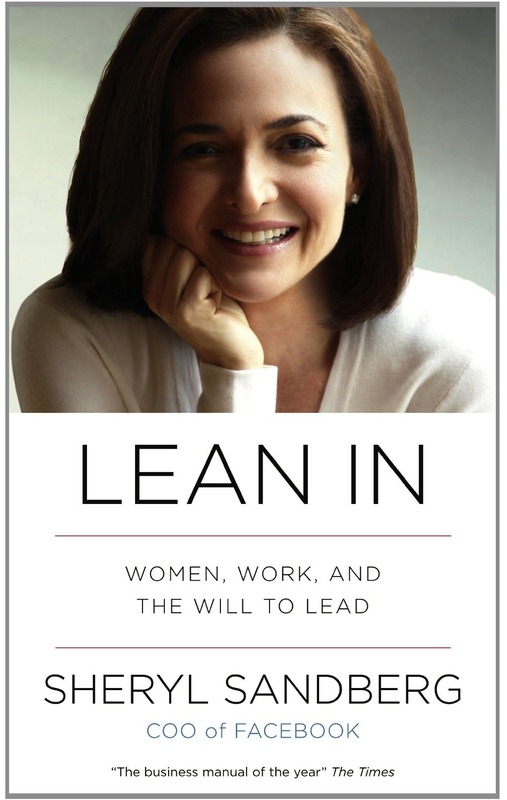 Sandberg acknowledges early in the book that men and women are predisposed to behave differently, but most of her text then ignores these differences in the rush to demand equality in all things - at work and in the home, aiming for the ideal of half of all leaders being women. The divide between men and women possessing different skill sets, and the expectation that society should land at a neatly equal distribution of responsibility, is never bridged. 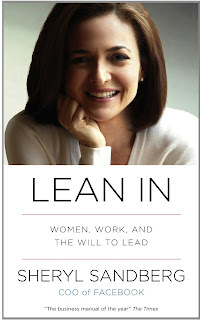 The label of feminism is waved around freely throughout Lean In. Sandberg dances around the issue, but fails to admit that the reason most women reject the label of feminism is because rightfully or wrongly, its comes loaded with the baggage of conflict, confrontation, winners and loses, and most women are too smart to want to associate themselves with such concepts. Depoliticizing what are essentially key career engagement tips directed towards women struggling to overcome internal insecurities may have created fewer headlines, but also more purely served Sandberg's own stated agenda: avoiding the inflammation of gender wars and unnecessary stand-offs. If the objective is to empower women to more boldly strive towards leadership and fulfil their potential as soon as possible in the 21st century, then the sooner the rhetoric of the 1960's is dropped, the faster both men and women can progress towards valuing each other equally. Subtitled: Women, Work, and The Will To Lead. 172 pages plus Notes and Index. Published in hardcover by Alfred A. Knopf.